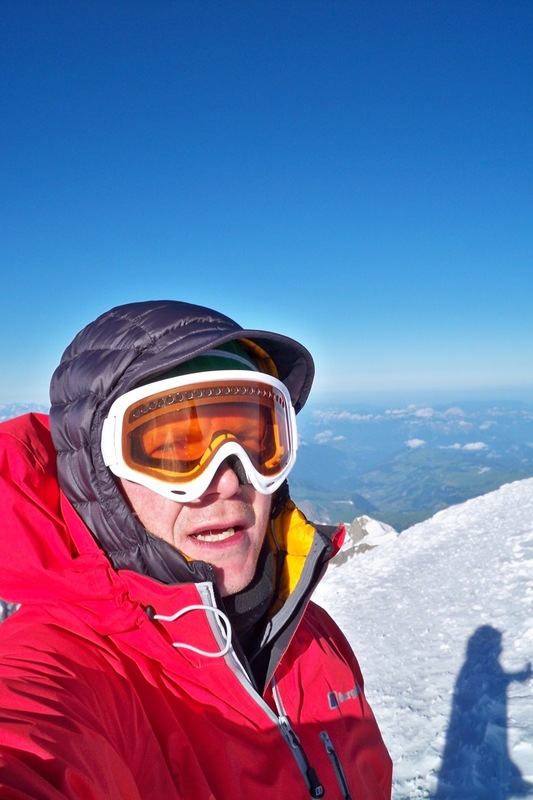 At 8am on 9th July I summited the highest peak in Europe! 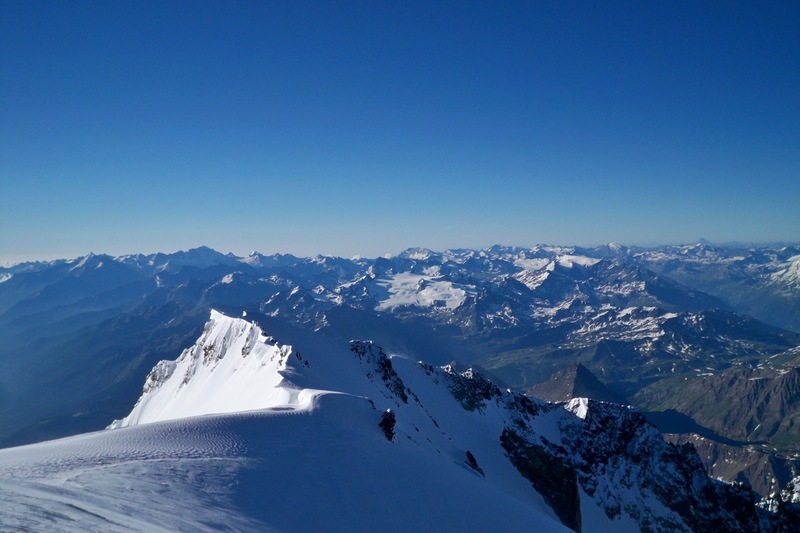 At 15,744ft, Mont Blanc sits topographically as the 11th highest in the world. While not overly technical, the route to the top was tough, with 40km/h winds and -20 degrees wind chill factor making a summit attempt impossible for all other groups on the mountain. My climbing partner Simone and I were the first to summit out of only a handful, with the knowledge that 5 climbers had died in the days previous firmly in our minds. The last ridge to the summit was a risky affair, with 15,000ft sheer drops on both sides. The wind meant a slow and low crawl up the knife edge, our plan if one of us fell was to launch ourselves on the opposite side of the ridge to prevent certain death. With winds now causing a white out, every foot placed was done so with such precision, that the final approach took over an hour. My summit was met with relief and elation, the views quite stunning. My video diary is incomprehensible due to the winds, but a few swear words can be heard amongst the noise! As always, the descent was a more dangerous affair, tired legs and a downwind made the ridge the most dangerous descent of my life. 13 hours later, I was back on terra firma, to news that we were the first amongst few to attempt and succeed. My attention now turns to Central Africa, as I’m on the plane to Nairobi in 4 weeks time. Just long enough to recover, and share some memories of an unforgettable week.